For our latest mixtape we welcome up and coming London producer, Emerson Twin to step to the mark. 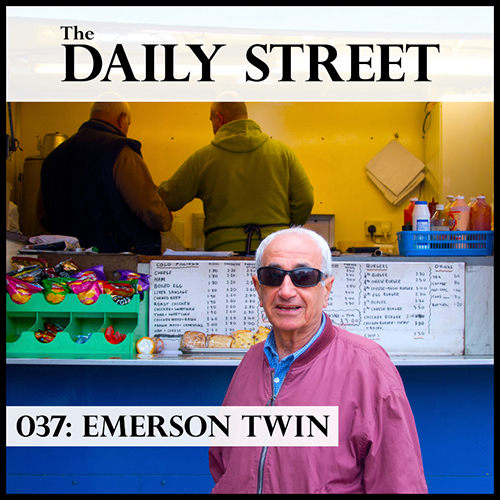 We first clocked onto Emerson Twin’s skills whilst listening to the Hyperdub show on Rinse Fm and with a little further screening it’s evident that fast grown support stretches to the likes of Scratcha DVA, Two Inch Punch, TEED, Laurent Garnier, Throwing Snow and Nightwave & Severino.Pinpointing stylings in the artists music leads you somewhere between the sharp rhythms of hip hop and the complex textures of electronica. Emerson Twin opened 2014 successfully with incredibly slick take on Four Tet’s Angel Echoes, this lead to recognition from French record label Cosmonostro who then decided to put out “Original Motion Picture Soundtrack” as a free album for SoundCloud. This was essentially a soundtrack to an imaginary sci-fi movie dealing with all ranges of emotion and soundscapes with heavy use of synths and jungle bass whilst sticking to rhythmic patterns recognisable in current underground music. TDS Mix 037 arrays exactly the sounds aforementioned, blending seamlessly between modern rap and UK electronic music. High energy levels are kept throughout and the touch of Emerson Twin’s own productions finish things off more than nicely. If you have yet to discover this artist’s abilities we highly recommend following the SoundCloud account to keep up with his work. In the mean time, check out the mix and enjoy. Co-founder of music blog Bass Ache and an active part of Bristol's music scene, Luke manages our mixtape series as well as contributing to other areas of The Daily Street.